The Stella’s Circle Inclusion Choir is delighted to present the world premiere of a fresh new piece by upcoming singer/songwriter, Rachel Cousins. 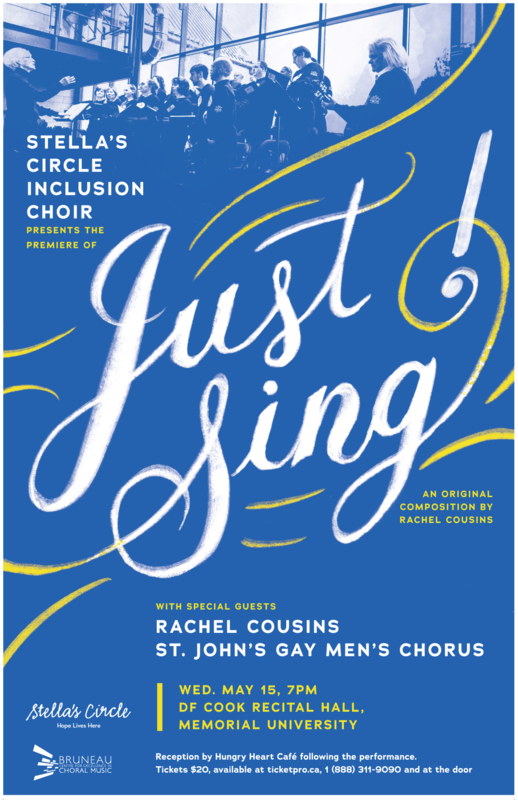 Join us for an evening of song by the Stella’s Circle Inclusion Choir, and special guests Rachel Cousins and the St. John’s Gay Men’s Chorus. Reception by the Hungry Heart Café following the performance. Tickets $20, available at ticketpro.ca, 1(888) 311-9090 and at the door. This project was funded by the Bruneau Centre for Excellence in Choral Music.